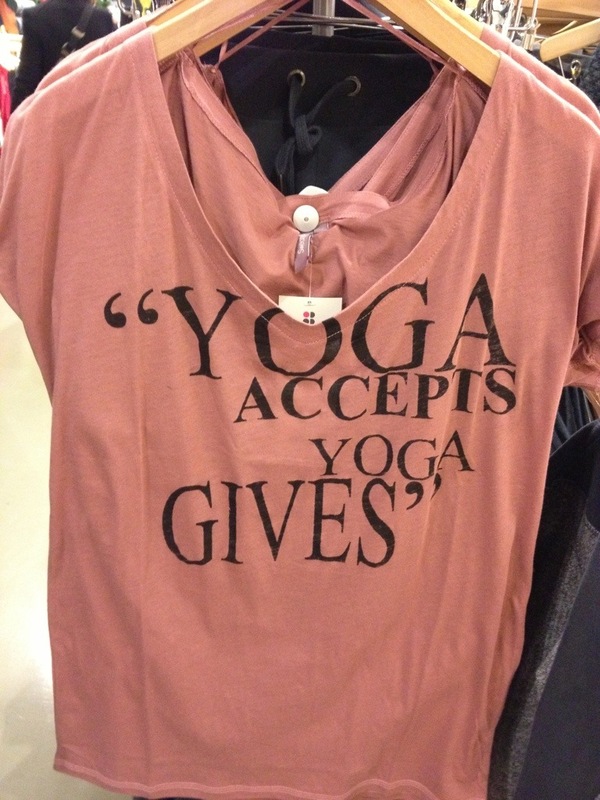 Check out this cool T-Shirt from Sweaty Betty 2012 Winter collection. 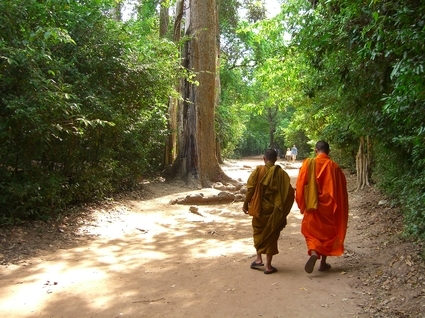 Two monks, going to a neighbouring monastery, walked side by side in silence. They arrived at a river they had to cross. That season, waters were higher than usual. On the bank, a young woman was hesitating and asked the younger of the two monks for help. He exclaimed, ‘Don’t you see that I am a monk, that I took a vow of chastity? ”I require nothing from you that could impede your vow, but simply to help me to cross the river,’ replied the young woman with a little smile.’I…not…I can…do nothing for you,’ said the embarrassed young monk.’It doesn’t matter,’ said the elderly monk. ‘Climb on my back and we will cross together.’Having reached the other bank, the old monk put down the young woman who, in return, thanked him with a broad smile. She left her side and both monks continued their route in silence. Close to the monastery, the young monk could not stand it anymore and said, ‘You shouldn’t have carried that person on your back. It’s against our rules.”This young woman needed help and I put her down on the other bank. You didn’t carry her at all, but she is still on your back,’ replied the older monk. This story is also mentioned in Eckhart Tolle’s New Earth. We all carry with us the weight of past mistakes, regrets, hurts and limited beliefs on our shoulders…. maybe we should let them go and be free. Yoga is a form of exercise where by we are using our own body weight to strengthen and relax muscles. It increases circulation and stimulates the lymphatic system to detoxify the body (cleaning the blood of waste). Yoga is also great for physical and mental balance. It is a great way to relax and ease the stresses of everyday life. These are some poses that may help with healing depression and anxiety. Child pose, forward bend, legs up the wall, cat pose, backbend, and headstand. ( For beginners it would be best to avoid the headstand unless you are being supervised by a professional). Below is the very relaxing Child Pose – Balasana.